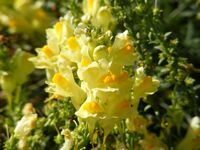 Slender upright perennial with linear leaves, yellow snapdragon-like flowers marked orange at the mouth and with a long spur. Astringent, hepatic and detergent - cleanses toxins from the tissue. 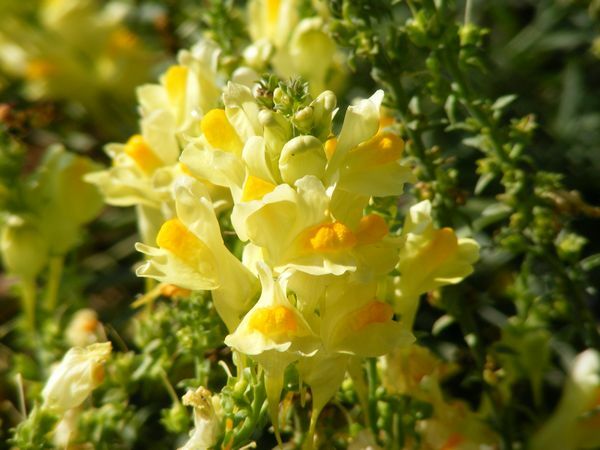 Powerful qualities as a purgative, diuretic, enteritis, gall bladder complaints, edema - recommended in jaundice and scrofula (kliertuberkulose). For use only by qualified practitioners - dosage is critical. Cooling ointment - chop the whole herb and boil it in lard till soft, and strain. The result is a fine green ointment for piles, sores, malignant ulcers and skin eruptions. Used in the Middle Ages for laundry starch. In Sweden - excellent fly poison when boiled in milk. Stand the infusion about where flies are troublesome.